Sometimes Latina Edwards is just walking around smiling and doesn't realize. One of her teenaged sons will ask why? Did someone say something? No, not really. 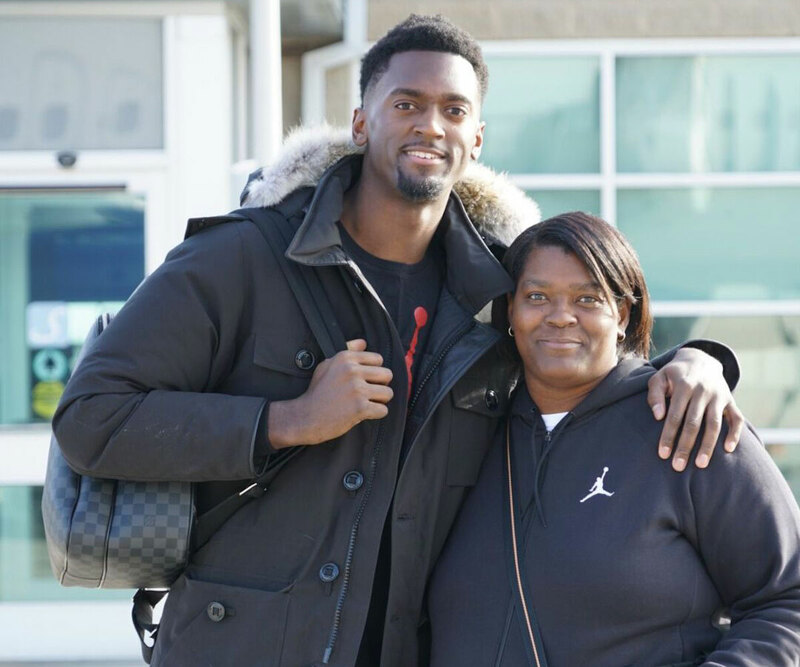 It's just Latina thinking about her oldest son, Bobby Portis, who plays for the Chicago Bulls. That's right, just a kid from Little Rock, Arkansas right there in the NBA. 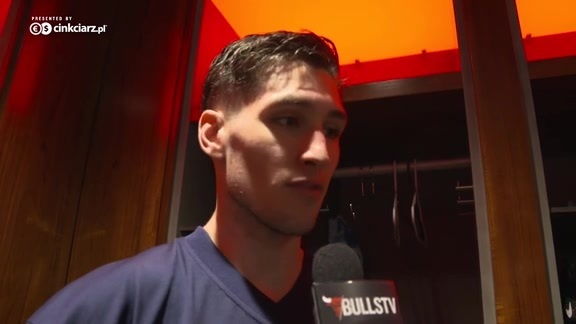 "I'm still in awe," Latina was saying Tuesday as the Bulls were leaving for New York on an inaugural Sons & Mothers trip for Wednesday's game against the Knicks. "Even though this is his third year, I'm in awe. To say I am watching my son play in the NBA, it still hasn't settled in yet because I'm still so proud to see he made it and to see my son playing in the NBA. It's been a blessing for me to see him fulfill his dream, stay focused and stick with it and make it." Latina has difficulty not smiling. 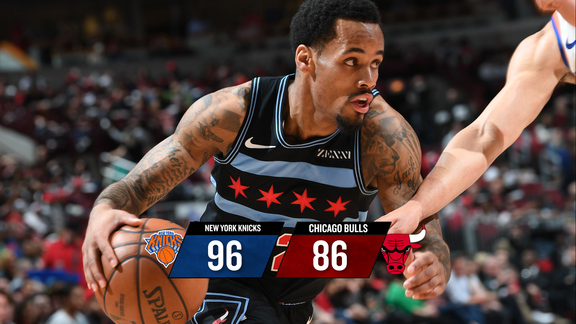 Much like so many of those proud moms, 11 who joined their equally proud sons on the Bulls sponsored trip to watch their sons play against the New York Knicks in the city that never sleeps. Not that they did much during those formative years in helping guide their young men to their hopes and aspirations. "Now I never tell anyone who dreams that dreams don't come true," said Leshawn Payne, the mother of point guard Cameron. "Dreams do come true. He's always been the smallest on every team he played on, the smallest kid, even in college he looked like a teenager of 13. His hashtag is DWUKD: Don't Wake Up Keep Dreaming. That's what he believes. He doesn't want to wake up from this dream, living the dream of a lifetime." The Bulls wanted to make their own Mother's Day-is-every-day statement about these strong women who worked multiple jobs so the kids could follow their desires, ran the car pools and schedule juggling, even turned themselves into human hoops. "When he was three years old, I was his first basket, on my knees with my arms in a circle and he's dunking on me," recalled Doris Pondexter, whose son Quincy is the latest in a line from a basketball family that included his uncle Clifford, a former Bulls No. 1 draft pick. "I think at nine or 10 I'd go to a school game seeing him running down full court, hard as he could and then passing the ball behind his back to the guy on his left and I'm like, 'Wow, nine, 10 years olds don't do that,'" recalled Doris. "Running and a bounce pass between his legs to the guy behind him. Doing alley oops in fifth grade. I'd think, 'Wait, they cannot jump that high.' But he had it in his mind, the concept to do it. I'd put a hair brush in front of him and interview him. I knew it. When I had him in my belly, 'I know this child is going to be special.' And he was." 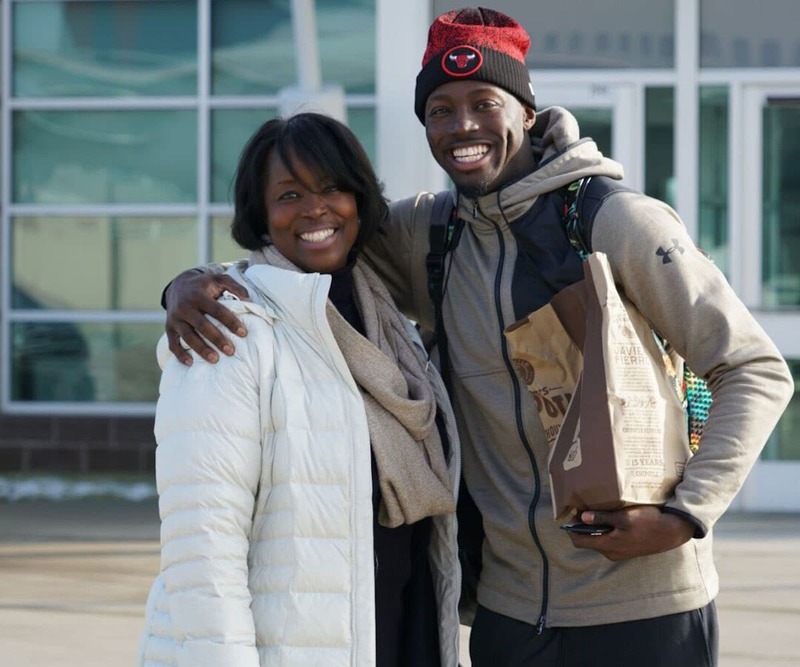 It was a freeze frame of pride for the moms to see the success of their children, and it was obvious the way the players were beaming with delight how much it meant to them to not only have them along, but see them pampered. The Gandhi quote came to mind of it being possible to gild pure gold, but who could make a mother more beautiful. 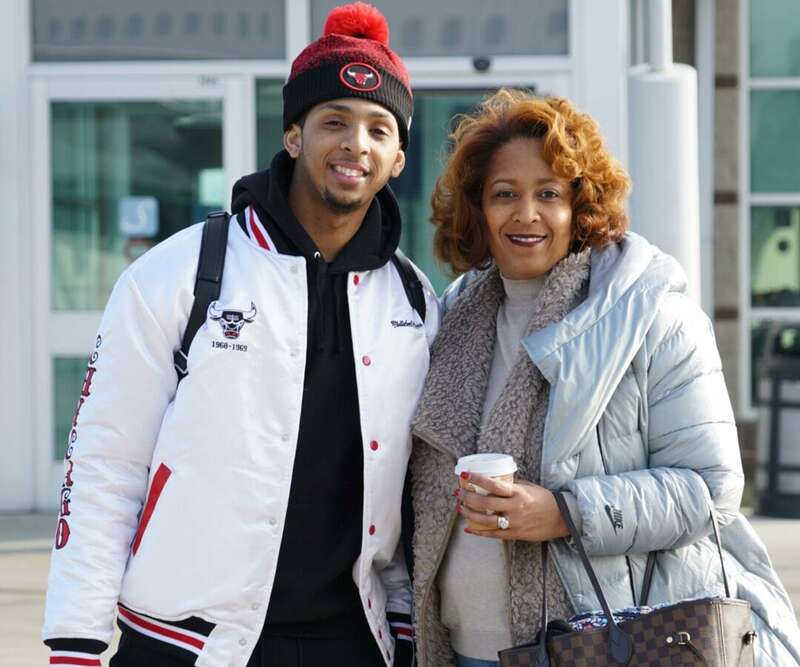 The mothers of Portis, Pondexter, Payne, Kris Dunn, Cristiano Felicio, Jerian Grant, Zach LaVine, David Nwaba, Denzel Valentine, Justin Holiday and Robin Lopez flew with their sons on the team's charter. They then dined at a New York restaurant, were scheduled for massages and the game in Madison Square Garden before a return afterward. The backgrounds varied. Some were from sports families, like Grant, Pondexter and LaVine, whose father, Paul, was an NFL player. Portis' mom cycled through a half dozen jobs raising the kids with family help while Lashawn was a hair stylist for decades in Memphis. The common denominator was their determination to enable their children to live out their ambitions. Doris Pondexter was born in France, the daughter of a military man. She married Roscoe, the brother of the Bulls' Cliff, and Roscoe played basketball overseas. Quincy was the youngest of the three children. "Always in the gym with his father, his uncle, his older brother," recalls Doris, who was a basketball player. "Basketball only. We tried other things, swimming, running. It was only basketball. But he was sound academically and I was really pleased about that, well rounded. He acted in the college play, Nutcracker. Was a keynote speaker (at college). My heart is bursting right now I'm so proud of him." Leshawn Payne was born and raised in Memphis, graduating from working in her mother's hair salon to her own, raising two sons. "He was dunking on Little Tikes at three; it was always his dream to be NBA player. He'd always say he was going to the NBA. He wouldn't pick a major, said he was going to the NBA. I kept saying, 'You need to pick a major, you need an alternative. We'll work on NBA later.'" And then the little left hander got just where he said he would, a lottery pick by the Oklahoma Thunder traded to the Bulls. "Oh, my god, I still pinch myself at home watching him on TV, 'He's in the NBA.' When they played the Lakers and he played Kobe, he's big Kobe fan, his idol, he stole his ball," recalls Leshawn. "He was real excited and nervous. I said, 'Did you say anything to him?' He said he was too nervous. We took a picture with Kobe with me. Couldn't miss that game." Beverly Grant-Holston has two children in the NBA, brothers Jerian and Jerami of the Thunder. She married Harvey, Horace Grant's twin brother, and raised the boys. "Jerian begged to play," Beverly recalls. "You were supposed to be five, but he begged and we fudged his age at four. With four boys going in all different directions, basketball, soccer, it was busy, picking up one, dropping off another. Jerian and Jerami played a little on the same team, but split off. But even with Harvey and Horace, we never thought of an NBA life. We were living in Portland then and I remember the boys saying they want to be in the NBA because dad played. I'd always say, 'You have to have two careers.' But my girlfriend once told me, 'You cannot stomp out their dreams, you cannot tell them they can't do something.' I would say, 'It's hard to make it to the NBA.' So they'd always had to have two careers, basketball and one had to be something else. "But I am so proud they worked so hard to get there," Beverly says. "Workouts at 6 a.m., then school, practice, homework; they gave up a lot of extra things other kids do. Seeing them playing against one another is hard to believe. It's amazing to see the boys who came through DeMatha together with Victor (Oladipo) also doing so well." C.J. LaVine's husband Paul played in the NFL for Seattle and in the USFL and she sensed a prodigy child. "Zach from day one, he walked really early, did everything quicker than normal," said C.J., who was a softball player. "Kindergarten, first grade he always was two years ahead until until seventh grade, playing with kids two grades ahead. I was his rebounder." Zach loved having a ball in his hands. So his father came up with intricate target games mimicking the NBA's three-point shooting contest. "He'd been in the backyard practicing with his headband on and I was the rebounder." C.J. recalls. "The ball would roll off the patio. I'd get it to shoot again. I'm so proud it's crazy. The draft was the most exciting, like he really made it after all the hard work, years and years and never taking a day off. 'Oh, my goodness. 'That's my kid out there.' It's crazy." Latina had four boys, Bobby the oldest, and it required work. For National Car Rental and American Airlines, barber school, finally a business delivering bread, her parents helping out with the kids when she was at work. Latina was a player, but when she got pregnant with Bobby it was time to face reality. She had a basketball scholarship to Jackson State, but didn't qualify academically. They asked her to red shirt a year, but she wanted to play. So she went to Hinds Junior College in Utica, Miss., got a degree and then was set to play at Alcorn State when Bobby came along. "Actually, I really wanted to be in the WNBA," Latina says. "I was always telling myself, 'If nothing else, I just want to try out.' Once I was pregnant, I decided to be a mother and not worry about fulfilling my dream. But to see your child make it is a dream come true." The mothers reminisced, told stories, exchanged emails. And smiled. Everyone smiled. A lot.